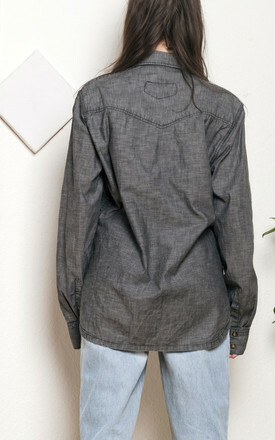 This one is a silvery grey shirt that escaped from the 90s in a great condition. It has two pockets and a snap closure. 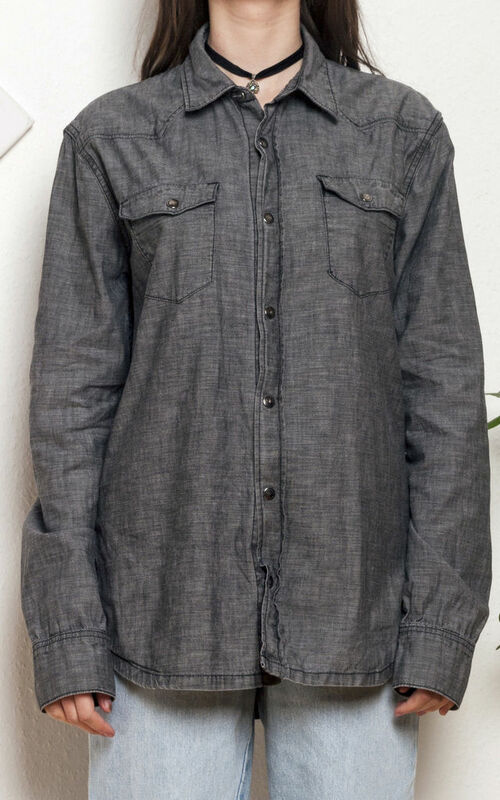 Labelled as (a men's) size S, we recommend it as an oversized fit for a UK size 6-10. Looks killer thrown over a crop top. shoulder: 43 cm / 1' 4"
sleeves: 66 cm / 2' 1"